This area is to support all Stockton based Special Educational Needs Coordinators. The SENCO area within the Local Offer includes many useful, local, national and legislative documents that can be downloaded for current and future use. The SENCO documents will be updated on a regular basis by the SEN & Engagement Service, based at Queensway House, Billingham. Any documentation associated with each drop down area is linked within. Several are password protected and are not for release beyond the Borough. Please contact Dawn Barron, Information, Advice and Guidance Officer SEN & Engagement Service, on 01642 527217 for the necessary access passwords. User guides for both the Professional and Citizen Portal can be accessed by clicking on the associated document in the Downloads section on the right hand side of this page. Access to both Portals is via the associated links in the Related Services section on the right hand side of this page. parental consent form with the application (refer to Section 13 in the application). This may now provide you with an opportunity to personally direct parents/carers to the SEND Citizen Portal and discuss the benefits and usage of the Citizen Portal with them. The Citizen Portal will soon become the only access point to their child's EHCP information and consequently it is vital that they can access and navigate the system. 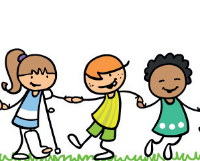 To help parents and young people understand the process, Council for Disabled Children has produced an Annual Review Factsheet, timeline and guidance notes for experienced Independent Supporters who may be required to support a parent or young people with an Annual Review. This factsheet aims to provide an overview of the key duties which apply to Local Authorities, schools and education providers as set out in the Children & Families Act 2014. This guidance sets out the timetable for Annual Reviews in five steps. Guidance for Independent Supporters who are supporting parents/young people with Annual Reviews of EHCPs. Independent Supporters may be asked by a parent or a young person to attend a Person Centred Planning meeting. A guide book, produced by Children Education and Social Care to support parents, carers and professionals navigate their way through the legal systems involved with SEN and Disabilities. The booklet gives clear and easy to read guidance around, the Local Offer, available services providing information advice and support, The Children and Families Act 2014, The Code of Practice, reforms, EHC assessment including timelines, person centred planning, personal budgets, disagreement resolution and the disability register. The code of practice is enshrined in legislation and is the supporting documentation used by those working within the SEND environment. The statutory guidance is for any organisation which work with and support children and young people who have special educational needs or disabilities. A guide from The Joint Council for Qualifications which sets out the legally bound scope of special considerations. The guidance is for SENCO’s, Specialist Assessors and Senior Leaders within schools and colleges. This document is updated on an annual basis. This document includes guidance notes for schools prior to the SEN support review meeting that is considering possible referral for EHC assessment. The document provides an aid memoir and it also notes that the meetings should be conducted with a person centred planning approach and should include all agencies currently involved with the child / young person. The reference code for this form is EHCR CV. This form is used to capture the views of the child / young person’s when their EHC Plan is to be reviewed. This form should be returned to the relevant school. The reference code for this form is EHCR PV. This form is issued to the parent to request any supporting information prior to the review of the EHC plan. This form gives the parent the opportunity to provide information about their child/YP. Legislative basis for the inspection and how areas are selected. A focus on reporting procedures and the expected conduct of the inspection team along with the expectations of the local areas are outlined throughout the framework. The handbook explains in detail how local area will be inspected and how the local area can self-evaluate using the evaluation schedule details throughout the handbook. A template power point presentation that supports schools. The template can be interpreted by the school and expended to set out their school’s core offer, to support SEND. The presentation slides can be used as a framework to help the school clearly model and define their interventions and provide evidence of what they can offer a child or young person with special education needs and or a disability. A range of factsheets can be found here for those supporting children and young people with SEND and are available as "Top Tips" for you to download and view.